RE/MAX 440 and RE/MAX Central is pleased to announce that Patti Chapnick has joined RE/MAX Central Inc. as a partner in their new Philadelphia office located at 901 N. Penn St., Philadelphia PA. Prior to becoming a Real Estate Agent, Patti worked in the nursing field. After that she worked at Harrah’s Casino as a cocktail waitress, dealer, floor person, customer Executive Development and at the Trump Taj Mahal as Executive Host. Patti attended Hahnemann and graduated with a degree in Radiologic Technology. 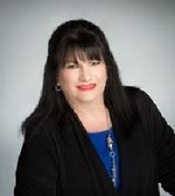 Before joining RE/MAX Central Inc., Patti was affiliated with RE/MAX Properties in Newtown for 20 years. Patti is a resident of Philadelphia County and grew up in Northeast Philadelphia. Patti has been married to Dr. Michel Chapnick for 28 years. They have three children; Alyssa 25 and Rebecca, 25 who are twins, and Marc, 22. Patti thoroughly enjoys spending time with her family and friends. Contact Patti at (215) 351-7437. You can also e-mail her at pchapnick@remaxcentralinc.com. President and CEO of RE/MAX 440, Thomas Skiffington, stated “I have known Patti for a very long time and I am excited to have Patti join me in partnership of this new office and also of our team of real estate specialists. With her enthusiasm and drive, she will be a definite asset to our office and to the community. We look forward to her continued success in the real estate business. Homeowners and Buyers alike can expect to receive quality customer service and integrity second to none when utilizing the services of a RE/MAX 440/RE/MAX Central Sales Associate." RE/MAX 440, which includes RE/MAX Central, has now grown to over 200 agents with ten office locations and offers one-stop shopping for real estate, appraisal, title, mortgage, various insurances and conveyancing. RE/MAX 440 provides their agents with the latest technological advances to help them provide the best possible service to sellers and buyers.